For this week’s #WriterWednesday, I’ve invited one of the most inspiring young women I know to The Z-Axis. 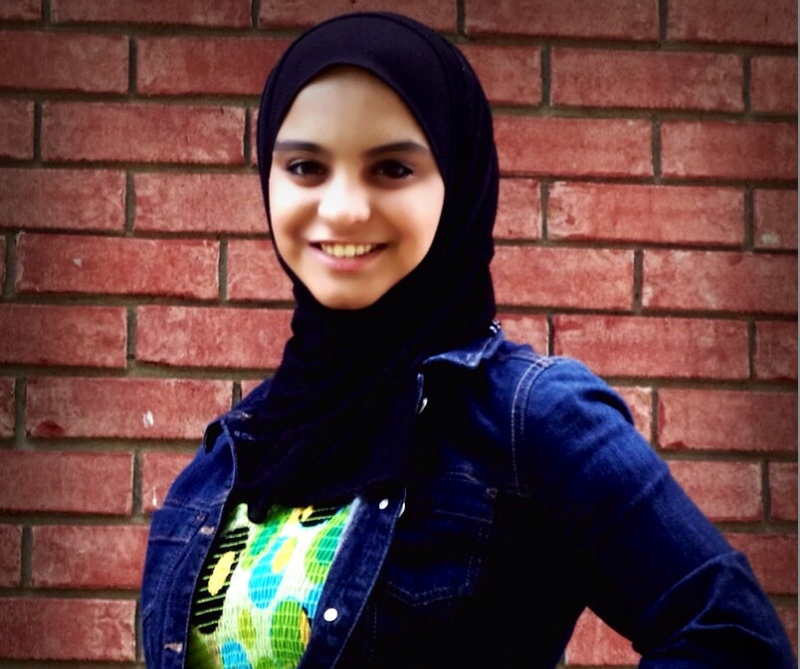 Hiba Tahir is a high school student with a fierce drive to tell her stories. I have long been impressed with her dedication – after all, I remember the grueling days of high school myself – and I wanted to ask her what keeps her clock ticking even through the stormy seas of teenage life. Hiba, you’re a high school senior. If I remember at all what that’s like, it’s mostly mayhem, with homework, social life, family responsibilities, and extra-curriculars just a few of the things you have to think about. How do you find time to write? The short answer is that most of the time, I DON’T find the time to write. There just aren’t enough hours in a day. By the time I get home from school or my internship, typically the last thing I want to do is confine myself to a desk again – especially since I find myself there for a couple hours anyway, with homework. When I was younger, writing used to be a hobby. In recent years, it’s become an escape. I write because I would go crazy if I didn’t, and a lot of the time, I have to MAKE time to write – whether it’s staying up a couple hours later than usual, or waking up a couple hours earlier, or skipping a senior party here and there, or utilizing the time between classes and during my commute. I bought a small keyboard case for my iPad two years ago so that I’d be able to write on the go, and it’s been astonishingly effective. It’s amazing what you can get done when you put your mind to it! Your work-in-progress, EMBERS, is classified as both historical fiction and fantasy. Where do these two seemingly divergent worlds intersect? Embers relates the story of Liesel Embry, a young girl in a medieval-like realm where her people are ruled by an evil queen from the modern world. There are historical elements, fantastical elements, sci-fi elements, young adult elements, and (at the moment) vaguely auto-biographical elements. It’s a mass of utter chaos and confusion. Liesel suffers from very vivid nightmares and tends to zone in and out of reality, so things are seldom as they seem. I wanted the experience to be something like a lucid dream for the reader – where they’re self-aware and yet completely hoodwinked and they don’t realize there’s something “off” until the very end. Where did the inspiration for EMBERS come from? Before Embers, I was actually working on this young-adult trilogy about three kids experimenting with time travel and realizing that they’d walked into a centuries-old feud between two secret societies. But I kept hitting a wall, and I eventually realized it was because I didn’t really “get” the protagonist. This is SO cliched, but I found the solution in a dream. I was at some prestigious boarding school, joining several teenagers handselected by a pristine faculty to aid in top-secret, all-important research. We were made to enter this huge maze, but once we entered and couldn’t find our way back out, it became very apparent that the research was being conducted on US, to see how long it would take us to break and start killing one another. As you can imagine, it quickly became quite terrifying. When I awoke, I was intrigued by that feeling of sudden panic, of becoming self-aware without the means to do anything about it, of learning that those so-called pristine faculty members and the picture-perfect boarding school were in reality anything but. I took a break from the trilogy and wrote a couple short stories just playing with those ideas. And somewhere along the way, when I realized I needed to see my protagonist (the queen) as the antagonist first, Embers was born. As the idea developed, it took a life of its own. I’ve mapped out a plotline that spans three books – Embers, Flames, and Ashes – and I couldn’t be more excited to delve deeper into this world. EMBERS has quite a following on Wattpad. Can you share one of your secrets of success? I think writers are seldom pleased with their own work. I dread the day I have to reread the Wattpad version in order to edit it for eventual publication. When I say that it’s rough, I’m not being humble. There are so many things I would’ve done differently, so much I would have left out or included. That being said, no one is more amazed than I am at the success Embers has had. I have people message me all the time asking to know more about this world that I’ve created and it’s so flabbergasting because that’s something I’ve been dreaming of for so long that it’s sort of surreal to see it actually happen. I’m thankful for every comment, every vote, and I make it a point to thank and respond to anyone who reaches out to me. I think it’s very important to thank your readers and let them know that you’re listening. I would attribute that to my success, above anything else. You’re Muslim, which makes you rather unique among the American writing cohort. How does your faith and culture inform your stories – or not? Great question! I feel like this is often a taboo subject, even though it’s a very large part of who I am. No, my faith and culture do not inform my stories. But my stories DO inform my faith and culture. I think we all go through a phase when we feel somewhat discouraged by constant bad news, where it’s easy to feel that there’s some sort of “missed connection” between you and God because despite your fervent prayers and good deeds, bad things keep happening. It was an eye-opening moment, to say the least. I’ve always believed that everything happens for a reason, but I don’t think I realized just how shocking and seemingly nonsensical those reasons can be to everyone but the Creator, who has the picture of the entire story line rather than isolated events. So yeah, writing has definitely made my faith much, much stronger. What authors, writers, or poets inspire you most to better your craft? Edgar Allan Poe is a big one, simply because his macabre themes are so integral to my own work. The Fall of the House of Usher especially – that slow descent into madness was chillingly inspiring – but I’m also intrigued by some of his lesser known works, like The Masque of the Red Death. Markus Zusak is one I’ve grown to love just this year. His writing speaks universal truths that can only be garnered with many, many years of experience. It’s poetic, playful, and profound. I was shocked to learn how relatively young he is. The Book Thief is now my all-time favorite novel. Finally, Sara Shepard, author of the Pretty Little Liars series, is a master of suspense and red herrings. I don’t think I’ve ever had a harder time putting down a series of books. And finally, what is the WORST advice you’d give to any aspiring author? Surround yourself with people who will support and nurture your talent. I think virtually every literary source, whether it be book, magazine, or writer friend, has mentioned this to me at some point in my life. It’s that ubiquitous, go-to advice for any artist – find those people who support your craft, and stick to them. But when you’ve hit a wall in both your private and professional life, when you find yourself up late at night writing and rewriting the same sentence over and over, surrounded by balled up sheets of angry prose and questioning why you voluntarily chose a life of such reckless abandon. In those moments, the thirst to prove a naysayer wrong is much more effective than the thirst to prove a loved one right. It’s important to have people who support who you are and what you’re doing, but it’s equally important to have people who don’t… Those are the people you should actively seek out. You will be a better writer because of them. Next month, I will be competing in the final round of the National History Day competition in Washington D.C. with my poem “The Fuhrer’s Final Fear” – a letter to Hitler about Nazi censorship. When I first wrote the poem, I shared it with a friend and asked for feedback. I realize now, four months later, that he was wrong. I didn’t take a monster and make him human – I took a human, and showed how he became a monster. I think that’s very important in writing. 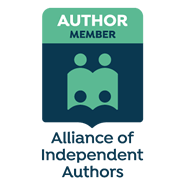 You have to know what drives your antagonist, but above anything else, you have to remember that we’re all the protagonists in our own stories, and we are all essentially human – we just have different goals. So surround yourself with all kinds of people and consider viewing the world from their eyes every once in a while. You’d be surprised how a simple role reversal can drastically change your world! Thank you, Hiba, for sharing your story with us. If you’ve enjoyed this interview, please visit Hiba’s blog, check out EMBERS on Wattpad, or follow her on Twitter. Aye, Jess, Hiba’s quite an inspiration! What a delight to call her a friend. Thanks so much for reading and commenting! I found @akmakansi last night on Twitter and found her page. Then again found this article about an AMAZING young lady @hhtahir Hiba. I am so jealous that one so young has it all together so well. She has the brains, the talent, and everything else. Read this INTERVIEW. Impressed!